The City of Duncanville Texas runs on the Wordpress platform and uses several plugins and custom code to manage several aspects of the city's day to day business. A custom support site was built using PHP and MySQL. 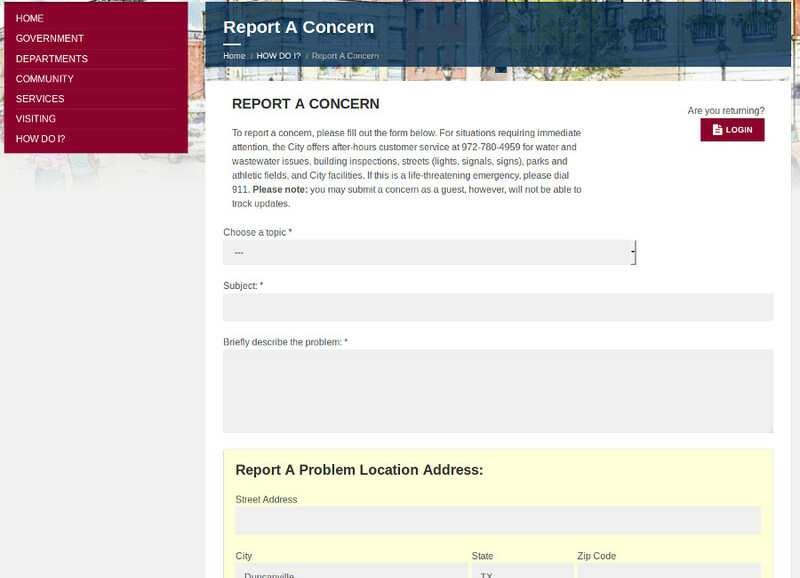 Using this tool, citizens of Duncanville can report problems in their neighborhoods. The requests are forwarded to the appropriate departments including the fire and police departments. 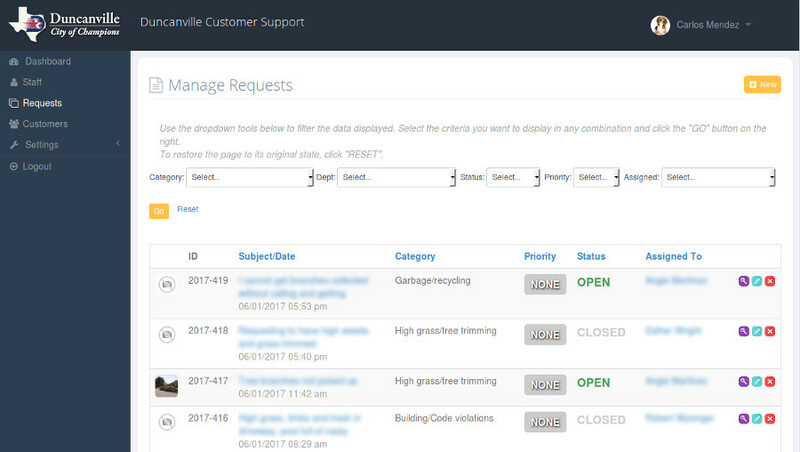 The City of Duncanville uses a custom built support site to take requests or crime reports from its citizens. A custom CMS writtin in PHP was implemented alongside their Wordpress based website. A custom CMS was built to handle requests and crime reports made by citizens of Duncanville.